In my early training as a U.S. Naval Intelligence Specialist, espionage was described as “the world's second oldest profession, and less moral than the first.” A well-worn laugh line, but one that was new to the room of fresh-faced teenagers just beginning their lives as adults under the supervision of Uncle Sam. And for me the line stuck. I thought about it while reading of the Walkers, Aldrich Ames, and any time I see a James Bond movie. These days it comes to mind when I follow information security news and read of hackers and corporate spying. It came to mind while reading that one of Japan's stalwart corporations and a global force in the world of high technology was struck by a case of industrial espionage and both the company and the government have vowed to take action to better protect intellectual property. Reuters last week published reports that authorities had arrested a number of suspects involved in the theft of trade secrets from Toshiba Corp. According to the Japan Times, the primary suspect in the case was an engineer with one of Toshiba's strategic partners. That employee had access to and duplicated intellectual property related to Toshiba's NAND flash memory chips, used in smartphones and tablet computers, and took the information with him when he took a job with a competitor. Although police only recently arrested the suspect, the alleged crime reaches back to at least 2008 when the employee moved from the partner to the competitor. That means the information has been in the hands of the competition for more than five years potentially eroding a major source of revenue and profit for Toshiba. The event—and the Japanese government's strong reaction—underscores the importance of doing what is necessary to protect vital intellectual property. Toshiba is a multi-billion dollar global industrial titan. It has the resources to invest in data protection and it has the motivation to protect its market interests. Yet it must operate in an economy requiring that certain information be shared in order to produce the things it sells. Toshiba must trust that its partners are equally as security minded in their operations, but the human element always comes into play as the weak link. For its part, Japan recognizes that its economy is dependent upon the vitality of its corporations. It has an interest is letting them know it stands behind them with laws and enforcement that they can count on in such cases. At this moment we don't know why the engineer in question decided to do what he did. Was he disgruntled following a real or perceived slight? Was he motivated by a sense of greed, or did politics play a role? These details may emerge as the case proceeds, but they should inform anyone who has an interest in protecting information vital to their business, career or personal affairs. You don't know what you don't know and can take nothing for granted as it pertains to the integrity of your information. Protect what you have the best you can. In a related story, Reuters also reported last week that a former U.S. Army officer working as a civilian employee for a Hawaii-based defense contractor was arrested for passing classified information to a Chinese national woman with whom he was romantically involved. It is not yet known if the woman is an agent of the Chinese government. 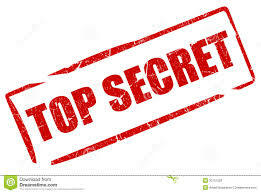 Whether industrial or military, the struggle to keep confidential information under wraps is one with no easy answers. But we know it does take constant vigilance.